This cake is incredibly moist and the wine gives it a wonderful twist. Preheat oven to 350F degrees. Grease a 12-cup bundt pan and set aside. Add the chocolate chips and gently mix in. ​Scrape the batter into the prepared pan and smooth the top. Bake for 45 minutes or until a toothpick inserted into the center comes out clean. Allow the cake to cool in the pan for 10 minutes on a wire rack, then turn it upside down onto a platter. 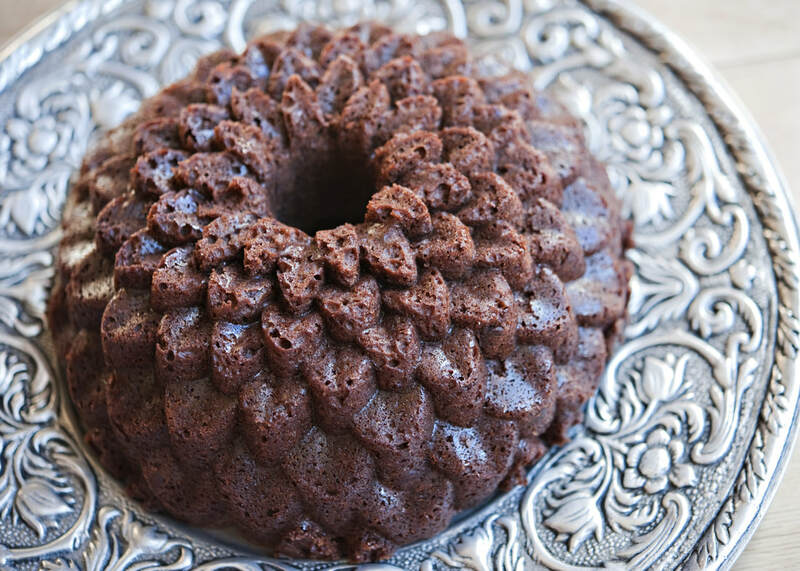 Carefully remove the bundt pan so that it doesn't stick to the cake and let it cool completely. ​Dust the cake with powdered sugar.